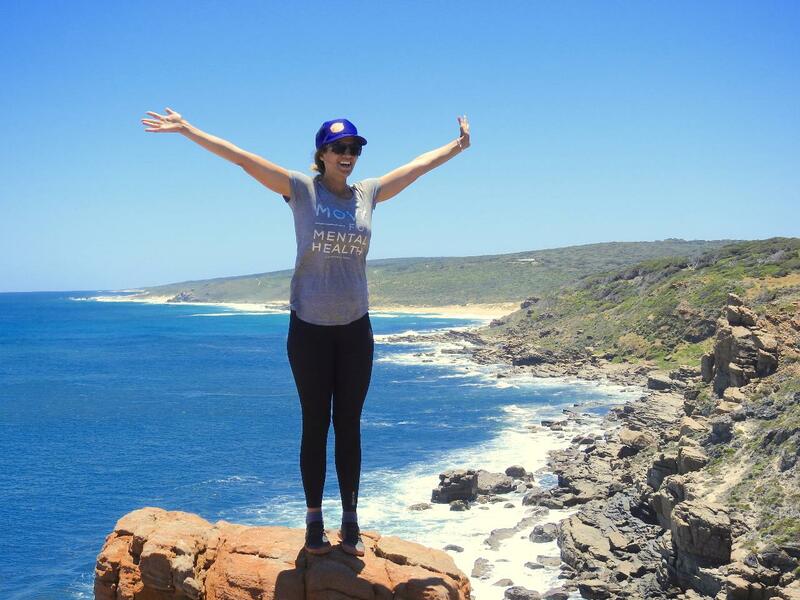 Come adventure with us as we walk from lighthouse to lighthouse, along stunning coastal landscape from Cape Naturaliste to Cape Leeuwin, to raise awareness for new and expecting parents who are struggling emotionally with post natal depression/anxiety. Allowing each hiker with the opportunity to experience and explore how movement/exercise can be a powerful coping strategy in the journey to recovery. Hiking with us you will be joining a global social initiative, Move For Mental Health, an initiative created to raise awareness & encourage people to move and get out in nature more to boost mental wellbeing or reduce the symptoms of mental illness. In registering each participant will be committing to raising $500 for The Gidget Foundation, a not for profit who supports expecting and new parents who are struggling emotionally with post natal depression/anxiety. PNDA affects 1 in 5 mothers and 1 in 10 fathers. Each $1000 raised by the team helps provide a year's worth of quality psychological care to a family through their #starttalking service. Last year we raised $34,000, help us impact 50 families by helping us raise $50,000! Hike for yourself or hike in the place of someone that you know who has or is struggling with depression/anxiety. Stunning and wild coastal landscapes, physical challenge, new friendships and gourmet evening meals await you. Our professional, local guides have extensive knowledge and experience interpreting the natural beauty of the Track. Take your Cape to Cape track experience to another level by enjoying the good cooking and comforts of CCET’s trackside base camps. Imagine walking into a camp that is all ready for you – including hot showers, campfire and delicious meals – all this while carrying only a daypack throughout the day. Accommodation: Fully catered camping at our one base camp including hot showers, delicious starlit meals, airbeds and tents. Cape to Cape Explorer Tours specialise in providing memorable experiences on the world-renowned Cape to Cape Track. Our highly qualified guides are friendly, energetic and entertaining, with a wealth of knowledge to share about the geology, ecology, biodiversity, culture and history of the Track. Enjoy the insights and discussions that will add a whole extra layer of meaning to your journey – stimulate your muscles and mind! Enjoy this long distance walk in good company and with peace of mind: safety is our priority. Our fully-trained guides carry first aid and emergency communications equipment. The Cape to Cape Track End-to-End Experience includes 7 days of walking over widely-varied terrain ranging from towering karri forest, rugged limestone sea cliffs, deserted beaches, and granite outcrops. The Experience is a moderate walk covering 16-22km each day; a sound level of fitness is recommended prior to undertaking the journey. Being as fit as you can will ensure you get the most out of your trip. Margaret River is renowned for fresh, healthy produce – and wine! Savour delicious and nourishing meals and track snacks prepared for you each day; indulge in boutique wine, olive and cheese tastings. Refresh your body with a dip in the ocean and sleep well in your comfortable lodgings in natural surroundings. the full experience of the Cape to Cape Track – in comfort and style whilst only carrying a daypack with you. Let us set up your camp – so you need just walk in and enjoy the comforts of a glowing campfire, delicious meals, luxurious airbeds and best of all a hot shower at the end of a fulfilling day. What a great authentic experience! Enjoy complimentary morning pick up from Perth CBD in Cape to Cape Explorer Tours’ transfer vehicle straight down to begin walking from Cape Naturaliste, the first section of the Cape to Cape Track begins with a gentle down hill stroll on the ‘access-for-all’ section of track to the stunning vistas of Sugar Loaf Rock. The Track then runs along an extended section of carved limestone sea cliffs before reaching the coastal hamlet of Yallingup – ‘The Place of Love’. At the end of the day you'll be driven to "base camp" to shower, relax, and enjoy a beautiful meal together. Walking out from camp, the Track rises high over several large limestone headlands before flattening out on Willyabrup Beach. A wonderfully constructed staircase then guides walkers up and onto the stunning sea cliffs that form the famous climbing buttresses of Wilyabrup Cliffs. After passing the cliffs, the Track drops back down onto the beach, passing the famous, though severe, surfing breaks of Gallows and Guillotines. The coast then turns decidedly rocky as it ducks and weaves over picturesque granite boulders and finally into the pretty hamlet of Gracetown. Relax here and enjoy an afternoon swim to sooth the muscles and mind! Beginning at the picturesque hamlet of Gracetown, follow the low coastline to thehistoric settlement of Ellensbrook. From Ellensbrook, the Track quickly leaves thecoast and meanders through sand dunes and past Ellensbrook homestead and Meekadarbee Falls. Visit the isolated coves of Gnoocardup and torquoise bay of Kilcarnup. Marvel at the centuries-old osprey nest in Horseshoe Bay. Take in some of the world’s finest surfing coastline from the limestone ridge at Prevelly then head down into the sheltered creekline of Boodjidup Brook. Continue on and experience the white sands of Boodjidup Beach before reaching historic Redgate Beach. Next is very likely one of the best sections of the Cape to Cape Track: the scenic coastal cliffs at Bob’s Hollow and Contos (although we may be biased as CCET have adopted and maintain this leg!). Walk into base camp nestled under the WA Peppermint trees, keep an eye out for emus, possums and even phascogales in one the south west’s best campsites. Within minutes of heading out from camp, the track reveals yet another side of its beauty and personality with the a dramatic vegetation change seeing the whole morning spent under the canopy of Jarrah, Marri and Karri trees as you soak up the beauty of the famous Boranup Forest – home to an array of wildlife and wildflowers in season. Head south, back into the coastal heath, and down onto the stunningly beautiful and often deserted Boranup Beach. 7kms of sand walking later, find the protected Hamelin Bay, home to some of the Cape’s friendliest stingrays who love a feed of freshly caught fish! Continue on past the many islands and headlands until you arrive at the stunning Cosy Corner. The last leg of the Cape to Cape Track, this stretch faces more into the south than the rest of the coast. True wilderness with limited road access, the sights are reserved for the local hooded plovers and walkers. Granite headlands are broken up by long sections of shoe-sucking sand. Formidable, but every step takes you closer to the Leeuwin lighthouse and the moment of celebration. We'll head out for an epic celebration meal tonight with an accompanying slide show of the week's photos! Each participant will get to take a copy of this home. This is a valuable day based in the beautiful coastal hamlet of Prevelly, to assimilate the lessons of the past week, set goals for yourself, and make the most of the experience so that it can uplift your wellbeing long into the future. Depart Prevelly campground via Margaret River townsite for Perth in Cape to Cape Explorer Tours’ transfer vehicle approx 9am. x 7 days fully-guided walking, with full emergency support: expert local guides carry first aid and communications equipment. x 8 nights fully catered camping accommodation in our high quality tents. x 7 evening meals; the final night’s celebration dinner at a local restaurant is not included. A selection of your walking experiences’ best photos will be collected during the week, will be burnt to DVD/USB and distributed to you after your walk free of charge.